And yes, we think of David Bowie and his beautiful song. Yes, we write now in praise of an abused word: love. Laugh, dear architect. Make jokes at us. Spit on us, if you want. But we want to be heroes, just like Bowie wanted, when he wrote the beautiful song Heroes. Yes, dear architects, let's be heroes...!!! Life itself is not longer than a day. Let's be lovers, of life and music and architecture! Let's learn the language of passion again! Let's take revenge on an unsatisfactory life through passion. Please design A HOUSE FOR A HERO. FOR SOMEONE WHO HAS THE COURAGE TO LOVE: ANOTHER PERSON, ARCHITECTURE, LIFE. YES, LET'S PAY OUR TRIBUTE TO A GREAT SINGER, WITH A GREAT HEART. LET'S SING, TOGETHER WITH HIM: LET'S BE HEROES, JUST FOR ONE DAY! LET'S BE HEROES, JUST FOR ONE DAY...!!!!!!!!!!!!!!!! Please send your work by March 31st to works@icarch.us. We accept ANY work, ANY size, ANY format. Please note that the deadline for both registration and submission has changed. The new deadline, for both, is March 31st. But you do need to register before this date in order to receive a registration number which will identify, anonymously, your work. Please write to us in order to receive this number. LET'S BE HEROES, JUST FOR ONE DAY! We are going to revenge him, in the name of art, and in the name of his music. Let’s imagine A HOUSE FOR DAVID BOWIE! The many facets of his personality would have, no doubt, to be reflected in this house that wants to pay homage to him, architecturally. Would it be a mere “stardust”…?! Would it be a “chameleonic house,” as chameleonic as its “inhabitant”…? Would it be a house for a “defiant brawler”…? Would it be the House of The Next Day…?! Yes, let’s place this house under the spell of MERCURY. A Mercurial house… a “dark, brooding, beautiful and sentimental” house…?! Would it be The House of The Blackstar…?! 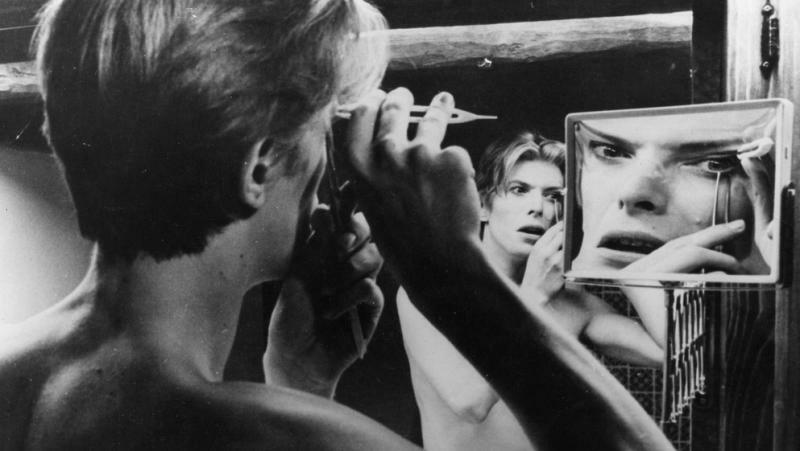 If Bowie had an “outstanding ability to analyze and select ideas from outside the mainstream – from art, literature, theatre and film” maybe we should try to do the same... How else are we to serve Hermes, that is, David Bowie…?! We no doubt have to confound, by uniting contraries… this is why perhaps The Androgynous House would be almost by definition A House for David Bowie… but how do design An Androgynous House…?! But this is what we ask you to do: sexualize your house, then sexualize it in the opposite direction, then desexualize it, and in the end resexualize it, differently, so the end result is neither of the previous ones. All in all, we ask you design a house with the built-in question “Where Are We Now?”, to use the name of one of his many albums. What other power do we have, really…? We are born immensely vulnerable, maybe more vulnerable than any plant or animal. Where do we situate the plants…? 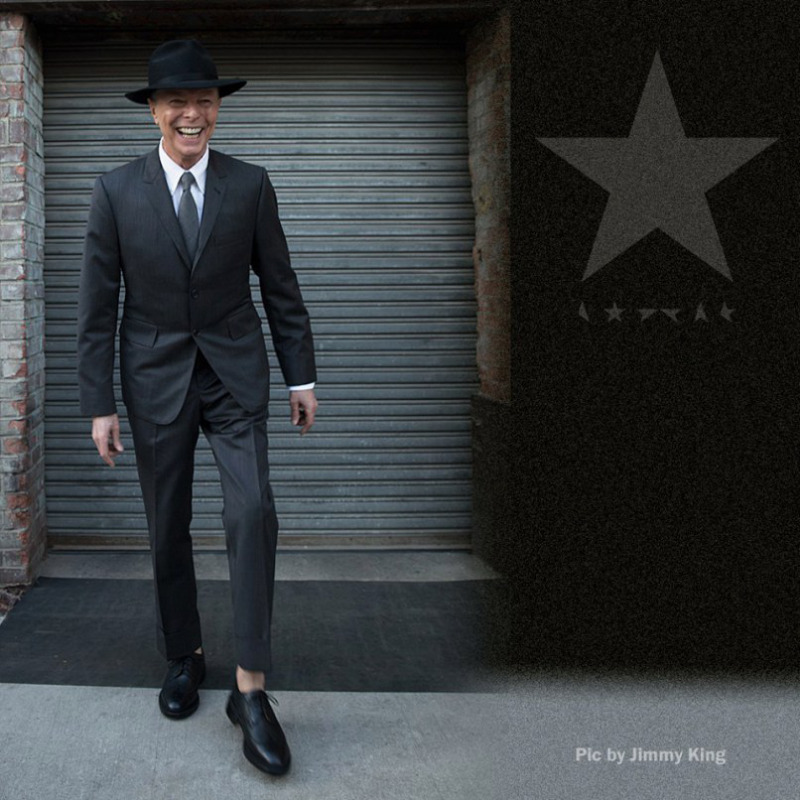 But look at this picture, taken just a few days before his death: David Bowie. It is an earned laughter, suffering transformed, miraculously, into joy. You took your revenge on a strange fate, we have, we, human beings! But to laugh in the face of death you must have suffered enough, otherwise we don’t know if it would easily be possible. A hero…? He avoided the word, rejecting it. When called “a hero”, Bowie said: I am not a hero, I just do my work. These are the words of authenticity, rare these days. Let’s follow him. But not in idolatry. Let’s follow the example of his courage. This very public man loved solitude, as he himself declared, to the point of calling himself a masochist, although he probably meant, a misanthrope… It is true, these three words, masochism, misogyny and misanthropy do resemble each other, somehow. The monk, the true monk is not a misanthrope, although he physically turns his back on societal life. In order to turn its face towards it otherwise. Obviously, Bowie was not a monk. Yet, like in the case of other important artists, a balance between being solitary and solidary (a word that probably needs to be invented) was achieved. In that very struggle, perhaps, lies the source of this apparently authentic laughter, in the face of death. We ask you to imagine THE HOUSE OF LAUGHTER IN THE FACE OF DEATH. An earned laughter, perhaps through many tears. Take your revenge, dear architect, and laugh with the same joy, earned joy, of the great Ode to Joy, by Beethoven. Take your revenge, dear architect! 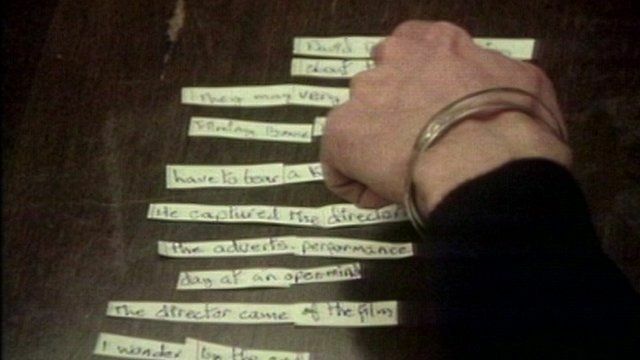 As you can see through the link below, David Bowie used the “cut-ups” technique to arrive at something new, to create a new music. And we wonder: woudn’t it be possible to use the same technique to create a new architecture…? What is also interesting is that he cultivated randomness, and randomness could be fruitful to architecture too, we feel. Randomness & Architecture… quite a subject, indeed. And why would it be so surprising…? Because traditionally the architect is “the planner”, he likes to plan, to foresee, to first think and then act. In other words, the architect is, par excellence, a follower of Prometheus, whose name, in Greek, means just this: to first think and then act. But, Prometheus also had a brother, a forgotten one: Epimetheus, the “irresponsible” one, because, as his very name, in Greek, says, he was the one who first acted, and then he thought about it… in other words, he was the very opposite of Prometheus. Interesting that the Greeks invented TWO brothers… and equally interesting, if not more so, is the fact that we completely chose to forget one of them, that is, Epimetheus. What is also interesting is that Prometheus loved human beings and hated the gods and was indifferent towards stones, plants, animals, while Epimetheus was the reverse: he wasn’t particularly fond of humans, but was respectful towards the gods and loved the plants and the animals. Wouldn’t Epimetheus be quite relevant, and much needed, for our time…? And didn’t we almost ruin the world following the ambitious Prometheus…? We still live on Prometheus’ shoulders, although soon we might leave his grandiose shoulders to go to Mars or who knows where, after we accomplished the task of ruining the earth. So maybe it is high time, before it is too late, to take a look again at Epimetheus… and what is the connection between David Bowie and Epimetheus…? We started from “randomness”… and Epimetheus did seem to act “randomly”, since he did it in the absence of plans. He didn’t plan, he gave chance a chance. So let’s give chance a chance too! Let’s imagine, first, an architecture of cut-ups and then, of randomness. How would such an architecture be…? Yes, let’s give chance a chance. And let’s imagine, even, INSTANT ARCHITECTURE. We invite ANY work, ANY size and ANY format that responds to the theme. Please remember the deadline to submit your work is the 31st of March. You can send your work digitally to works@icarch.us, or even prints and models to our address at UAUIM (The University of Architecture and Urbanism "Ion Mincu" in Bucharest), our partner from now on for the competitions we launch. We will exhibit all the works received both on our websites (ICARCH's and UAUIM's) and we will also display all the works in an exhibition at UAUIM. We also contemplate to send the exhibition to London, the appropriate destination. With your help it will be a beautiful celebration of a great singer and artist, who still encourages us to dream and act in accordance with our beliefs, whatever the difficulties... Thank you.